Russia’s oldest bank Sberbank issued a record amount of loans worth 700 billion rubles ($22 billion) to businesses and individuals in July. According to a report by the bank, net profits for the first seven months of the year totalled 220.3 billion rubles ($6.9 billion) – a 3.7 per cent increase from last year. 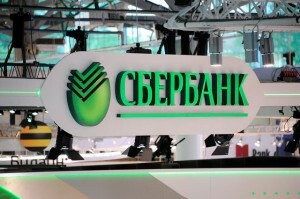 Individual loans extended by Sberbank increased 11.2 per cent in the first six months of the year, slightly lagging behind the rest of the banking sector which saw a 13.7 per cent increase. Sberbank’s CEO German Gref told Russian President Vladimir Putin during a meeting a meeting on August that consumer lending was the main force that pulled the sluggish economy forward. “This year has seen big growth in mortgage loans, a lot more than last year. We accord practically every second mortgage loan in the country. Our share of the market already comes to 49 per cent, which is quite a lot. We have issued around 1.5 times more loans over the first six months of this year than we did last year,” Gref said, according to a transcript of the meeting provided by the Kremlin. Sberbank is carrying out two programmes including a mortgage loan policy for young families with a down payment of 10 per cent and an average interest rate of 10.5 per cent; further reductions could be made if inflation goes down. The second programme will provide loans for teachers, doctors and young professionals all subsidised separately by the regions the individuals live in. So far agreements have been struck with 60 per cent of Russian regions. “This is another very significant measure that is helping to develop mortgage loans, especially in rural areas,” said Gref. Sberbank’s 2008-13 strategy has seen the bank’s assets increase threefold, expected to reach 17 trillion rubles ($516 billion) by the end of the year. The bank’s profits increased 250 per cent during the same period. “We essentially reached the development strategy’s financial targets a year ahead of time and today account for 10 per cent of Russian assets on the international markets,” Gref said.